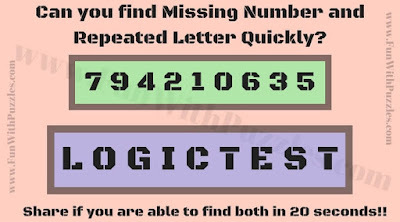 Here is 20 Second Test to check your focus and observational skills. In this Quick Observational skill test, there are 5 picture puzzles to test your visual power. 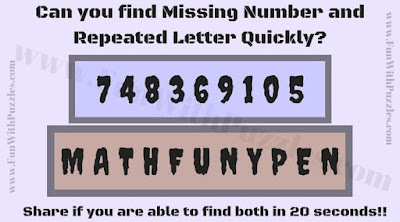 These are the easy picture puzzles and challenge here is to complete each of these puzzle correctly within 20 seconds. 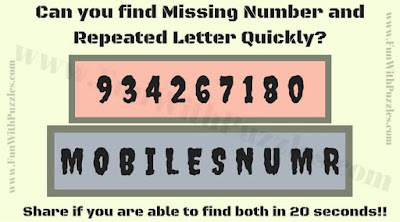 Try to answer these picture puzzles as quickly as possible. Answers to these quick observational skill test are given at the end. Do use these answers only to check your solutions. 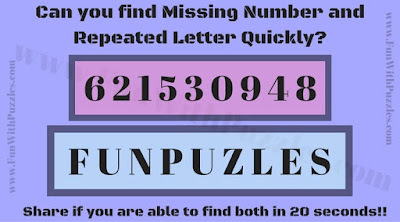 In each of these picture puzzles there are two rows, one containing numbers from 0 to 9 and other row containing random letters. 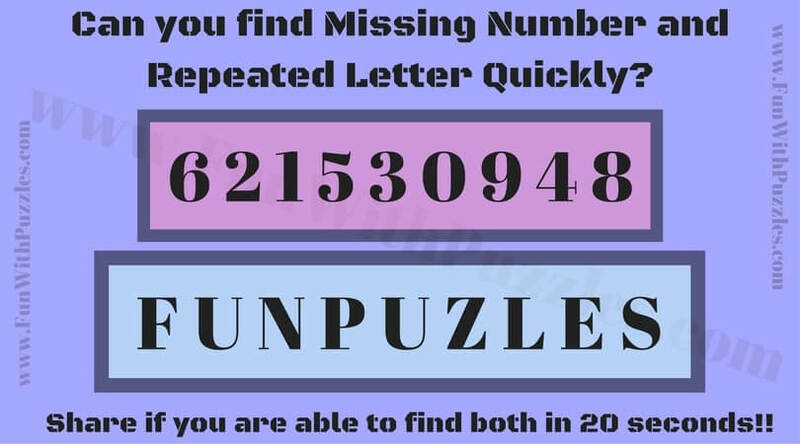 In the numbers row, one number is missing and in the letters row, one letter is repeated. 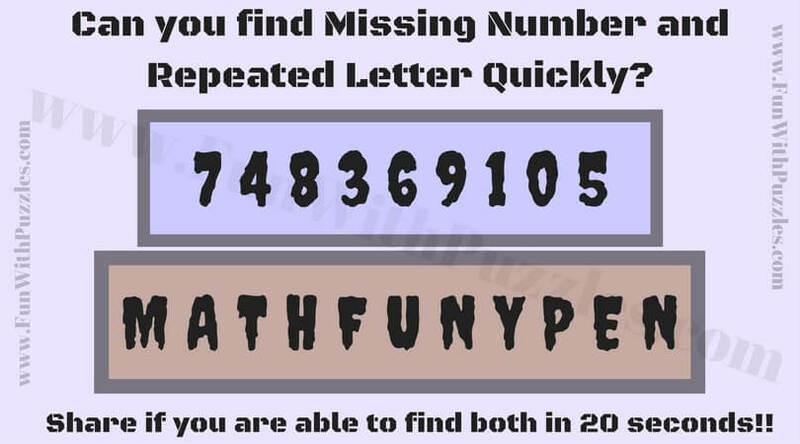 Your challenge is to quickly find this missing number and the repeated letter. 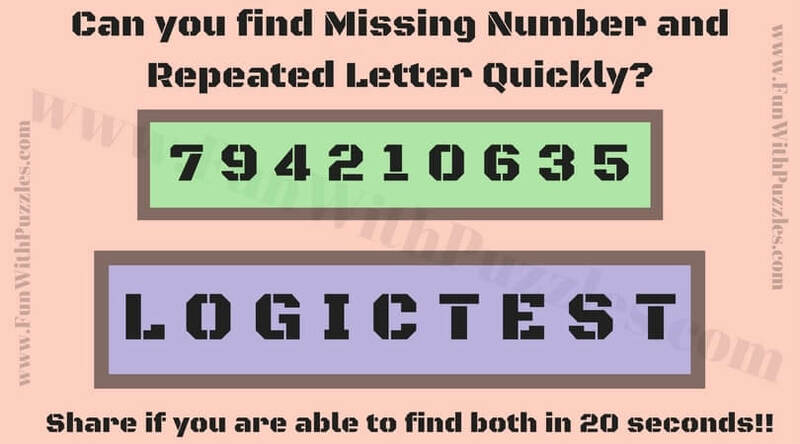 Try to find both number and letter within 20 second for each of these observational picture puzzle. 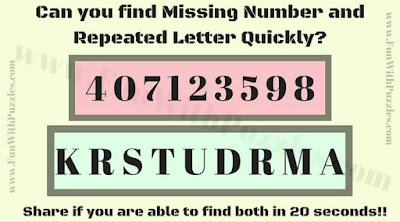 Can you find the missing number and repeated letter? 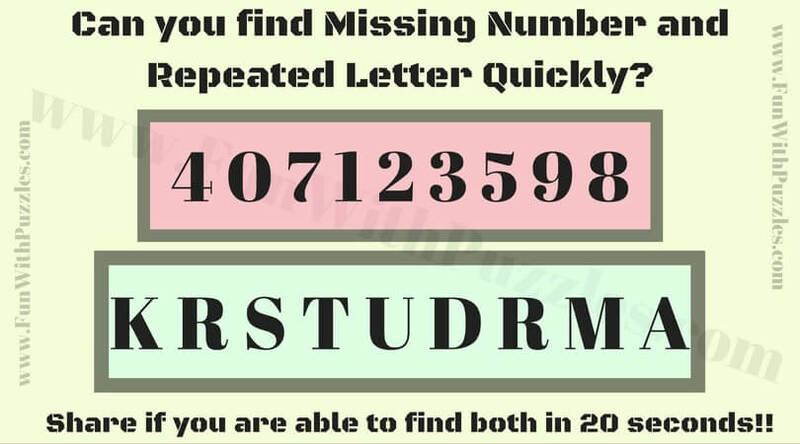 Which is missing number and repeated letter? 5. 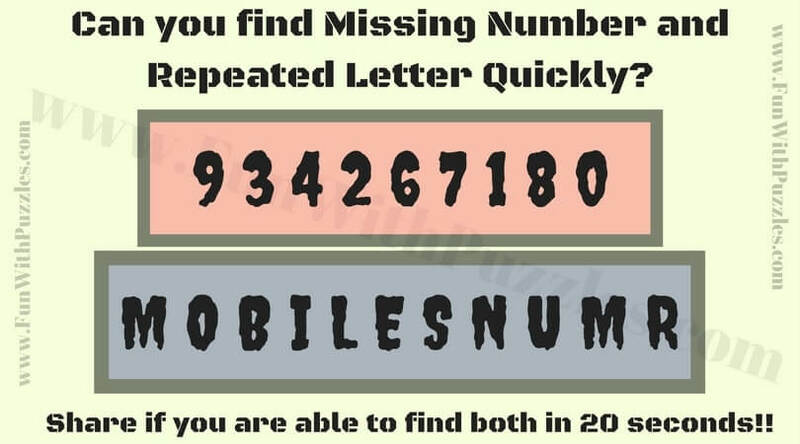 What is missing number and repeated letter?